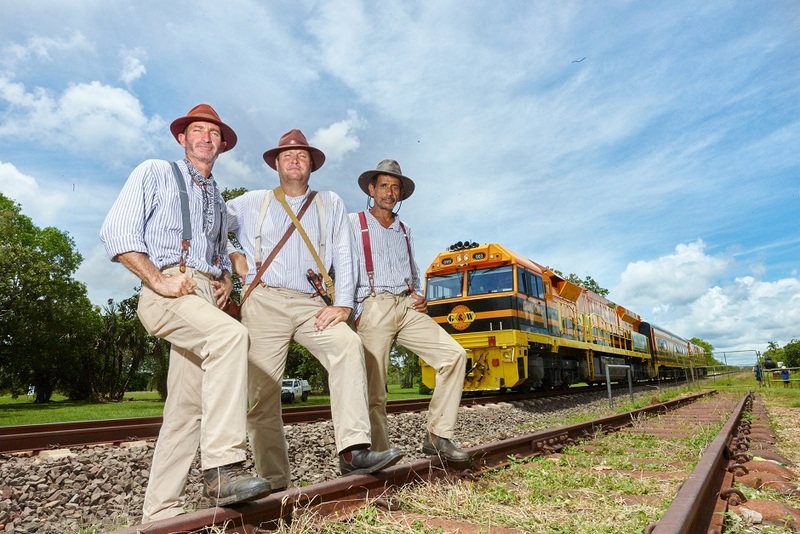 Tim George, Richard Borella and Charlie Cloos arrive in Adelaide River on The Borella Ride. Photo by Creative Light Studios/NT Major Events Company. 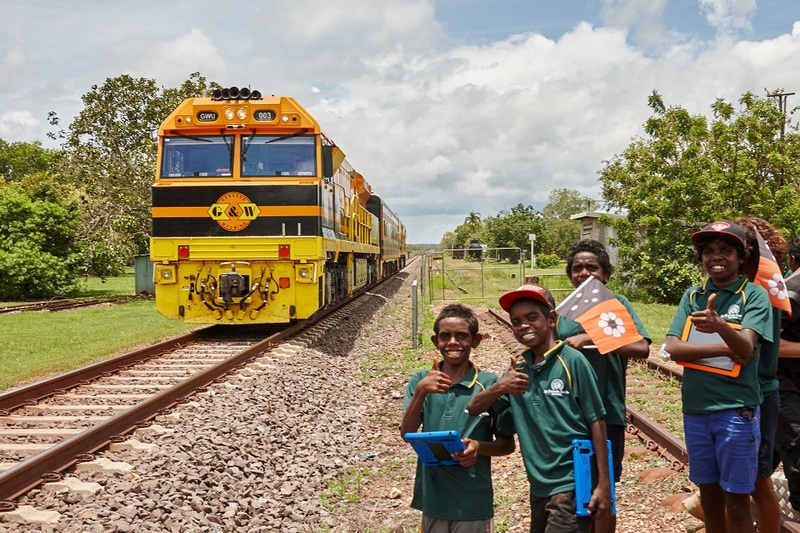 Students from Adelaide River Primary School waiting for The Borella Ride to arrive. Photo by Creative Light Studios/NT Major Events Company. 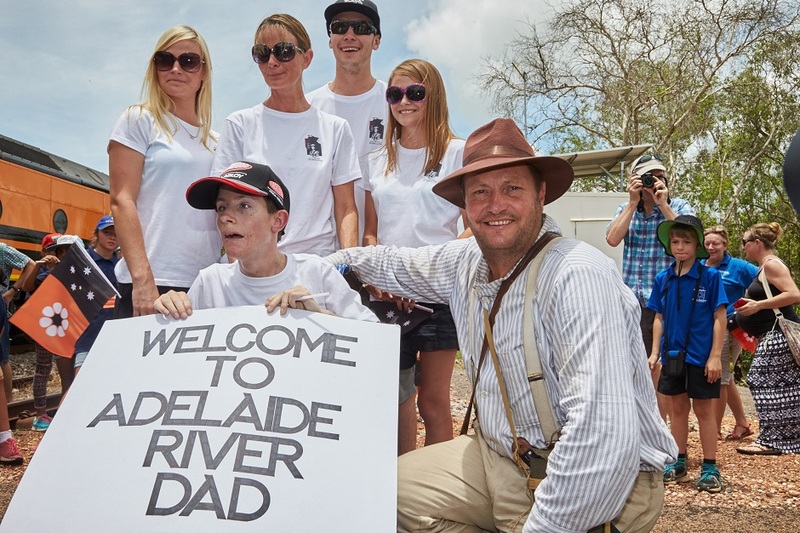 Richard Borella is reunited with his family at Adelaide River. Photo by Creative Light Studios/NT Major Events Company. 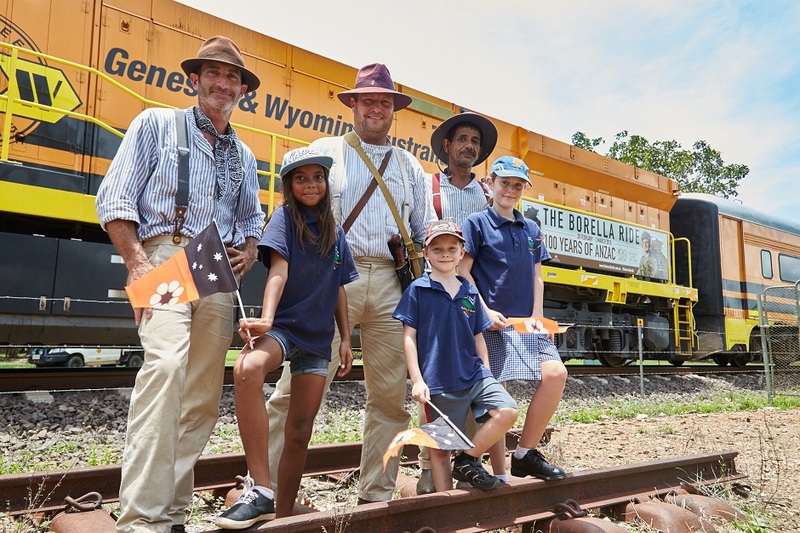 The Borella Ride made a short stop at Adelaide River on the train journey from Pine Creek to Darwin. 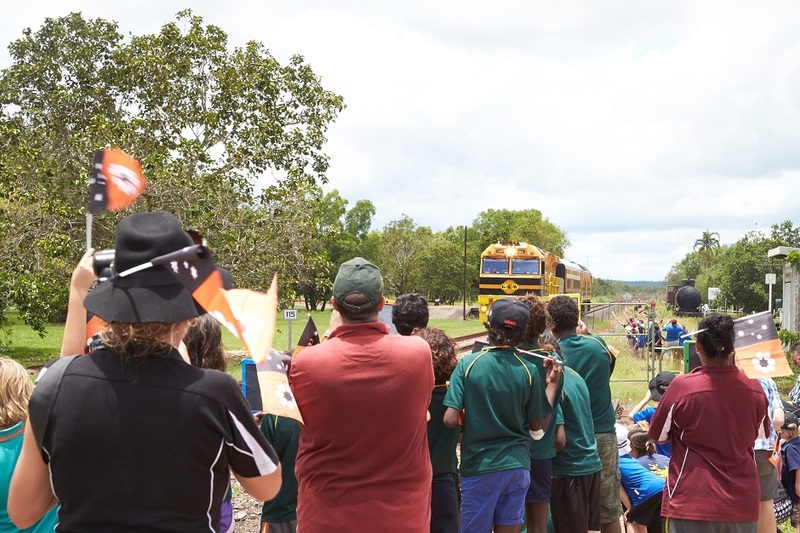 The team received a cheerful welcome from the community, with students from Adelaide River Primary School and St Francis Xavier Catholic School, Daly River lining the railway station to get their first glimpse of The Borella Ride. 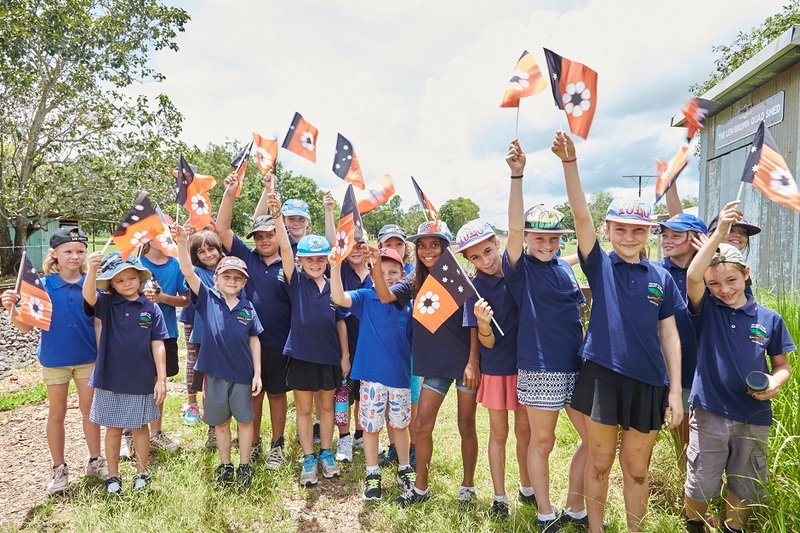 Richard had a special surprise waiting for him in Adelaide River, with his family meeting him as he stepped off the train – the first time he’d seen them in two weeks. 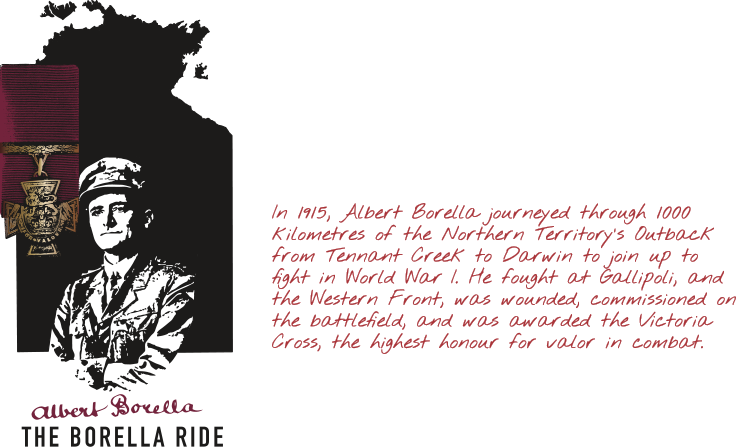 It was a memorable stop for the Borella family and The Borella Ride, made more so by the community members and students who came out to see them.